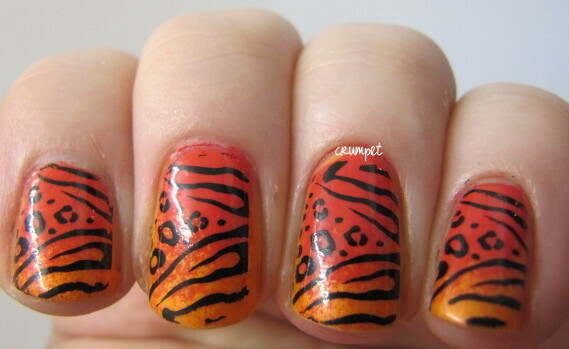 The Crumpet: Digit-al Dozen DOES Animal Week - Leopard-y Tiger Thing! 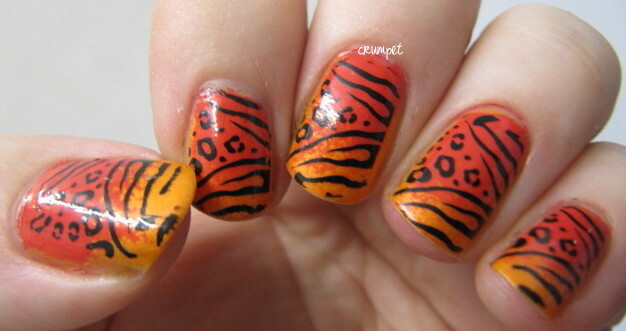 Digit-al Dozen DOES Animal Week - Leopard-y Tiger Thing! 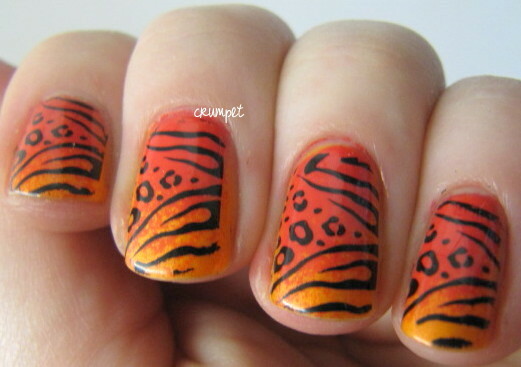 Today it's one of everyone's favourite stamping patterns - the Liger from Konad m78. 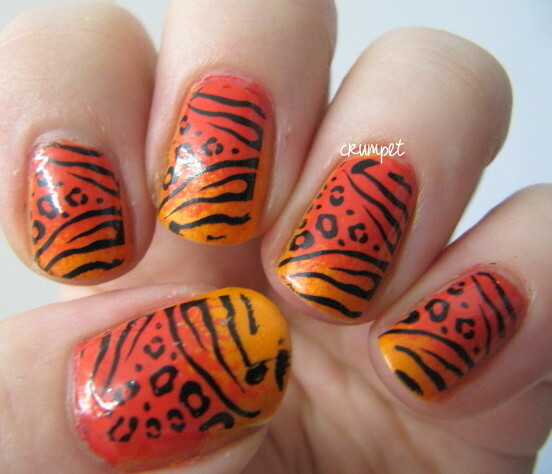 It's a little bit tiger, a little bit leopard, and it ALWAYS looks fab. The eagle-eyed amongst you may notice this as the middle finger pattern from Monday's skittle. Like Monday and yesterday, this is also a mani from mid-July last year lol.